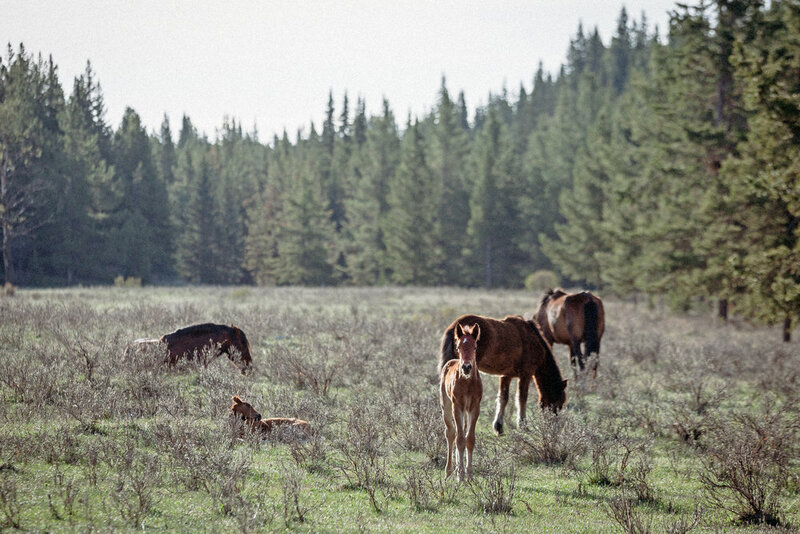 Lately, I have been doing a lot of thinking about my purpose behind the journeys I undertake, in order to spend time gathering these images with the wild horses. As much as I love the photographs that result, with each trip it becomes more apparent that the pictures are just an added bonus. 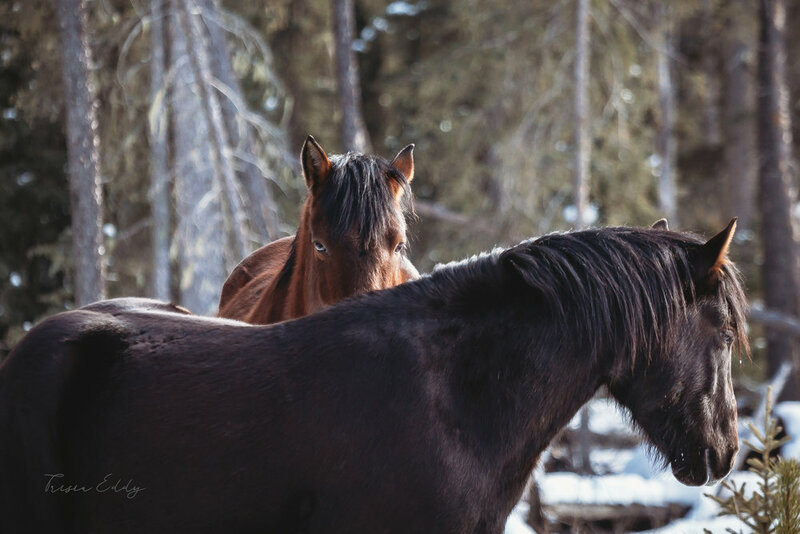 They are a way for me to remember the feelings in that moment, the connection that arose from quietly sharing space with the horses. 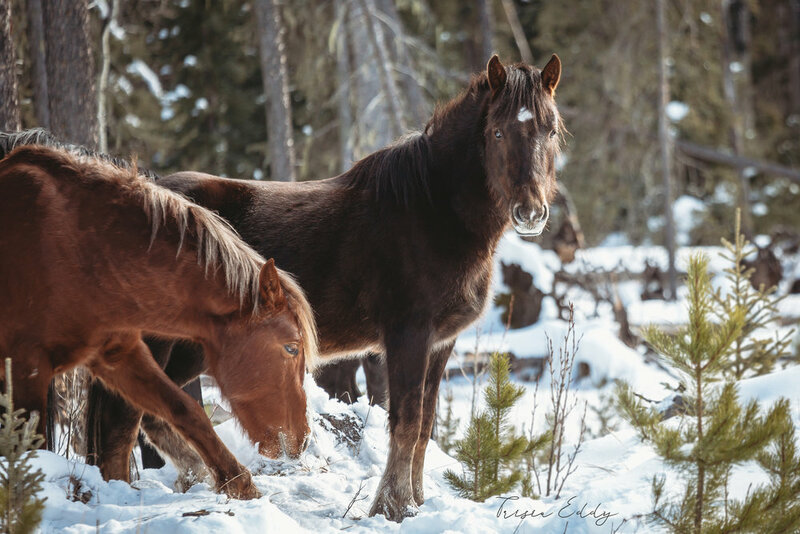 I share the images, not just because I want people to be aware of their place in our landscape, but because I believe there is a unique kind of communion between wild horse and human; one that brings us back to a deep-seated knowledge that gets lost in the busy hum of our daily lives. 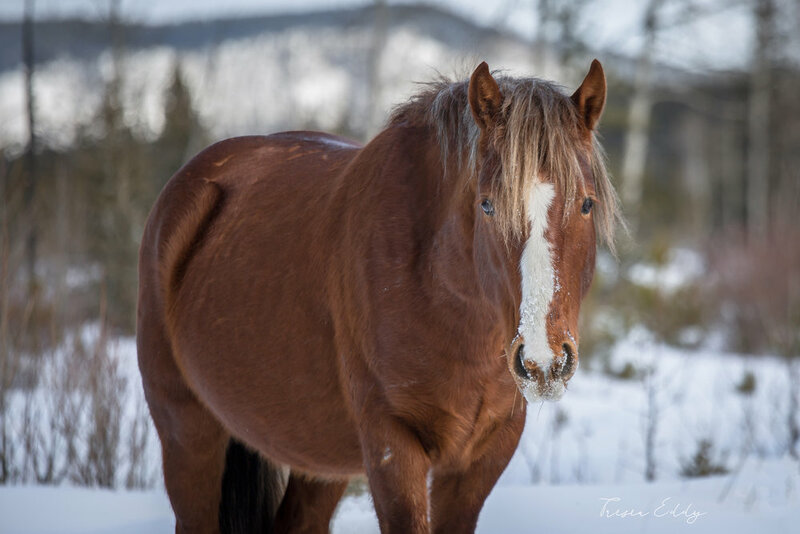 To me, horses are more than just a tool or a means to a prize, they are guides on a soul journey. When we visit with that intention, to be led deeper into ourselves, the messages they carry are powerful. My hope is perhaps one day, looking at these photographs will lead someone to see that these animals are a place where we can revisit our connection with the land, and how we are living with it; the intrinsic value of our mutual existence. Ghost River, renamed Morleyville by settlers, is the site of southern Alberta's oldest pioneer settlement. This portion of land in the Stoney reserve has always felt haunted to me, and is even more so now. I visited the ruins of last spring's fire on a cold, very windy day in January, during a drive home from Banff. The entire site is now surrounded by a tall chain link fence, and I felt grateful for my horseback riding practice as I straddled the wooden fences and fought strong gusts of wind, in order to capture the skeletal remnants. There were many voices there that day. 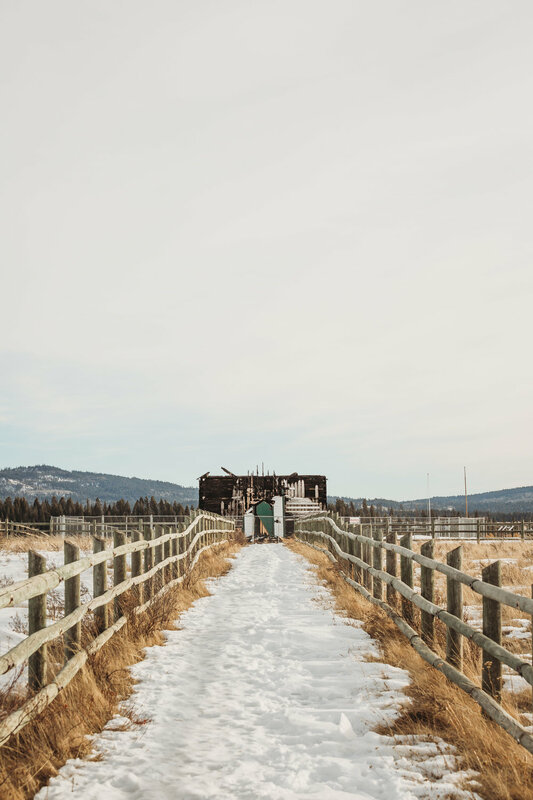 The church was constructed in 1875 by the Methodist mission, guided by John McDougall, at the same time that treaties were being planned for the Blackfoot territory in southern Alberta. Two years after the church was completed, Treaty 7 was signed, and under its terms approximately 130,000 km2 of land was surrendered to the government. The treaty negotiations are widely known to have been fraudulent, and due to the lack of land management by the government, many of its signatories wound up witnessing the very last bison hunt in the area. The Stoney-Nakoda, traditionally Ĩyãħé Nakoda, were assigned to the reserve nearby the church. A residential school was located in the nearby town of Morley from 1886 until 1949. The Morleyville church was declared a provincial historical site, and is surrounded by undisturbed native prairie. 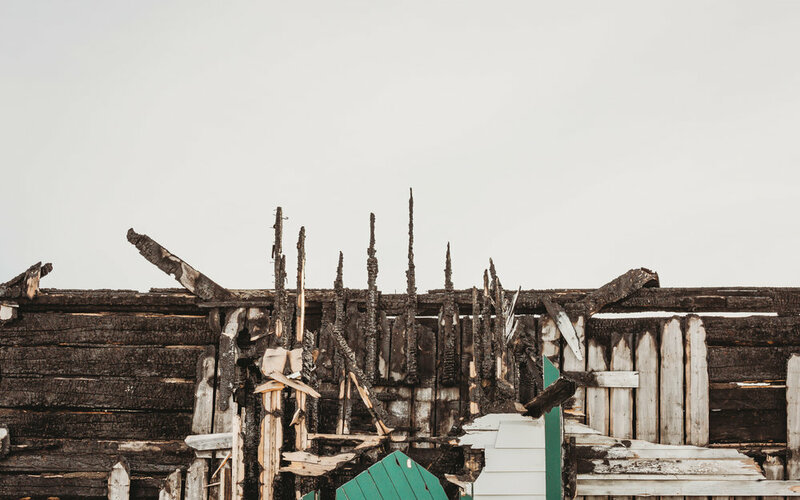 It burned down in May, 2017.